Isn’t there just something fishy about that well-dressed man? Now you can find out as “Octodad: Dadliest Catch” has gotten a PlayStation 4 release date of April 22. The game will be priced at $15 USD, though PlayStation Plus users can dive into the action during the first week for just $12, netting them a $3 savings. 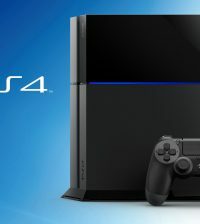 The PlayStation 4 release will offer additional content, stowing more deck-swabbing, jig-dancing, and disguise-wearing challenges than originally included in the PC release. With a new local co-op mode, players can each captain one of Octodad’s tentacles and work together in an attempt not to flounder all over the place.